Isla de la Plata is an island near Puerto Lopez, Ecuador. It’s also known as the “cheap Galapagos”! On the island there are several different birds including boobies with blue feet and beaks. According to our guide, several birds only travel between Isla de la Plata and Galapagos. Huge turtles swam near our boat after we got back from a 6 km hike throughout the island. I was a little tired after that, but I’m so glad Chris convinced me to take the longer trail because the views are spectacular. I took pictures on my camera, but it may be a while until I can get to a computer to upload them. I’ve been using my iPod to post other pics but I didn’t want it to get wet. The whole excursion cost us $35 each and it was well worth it. 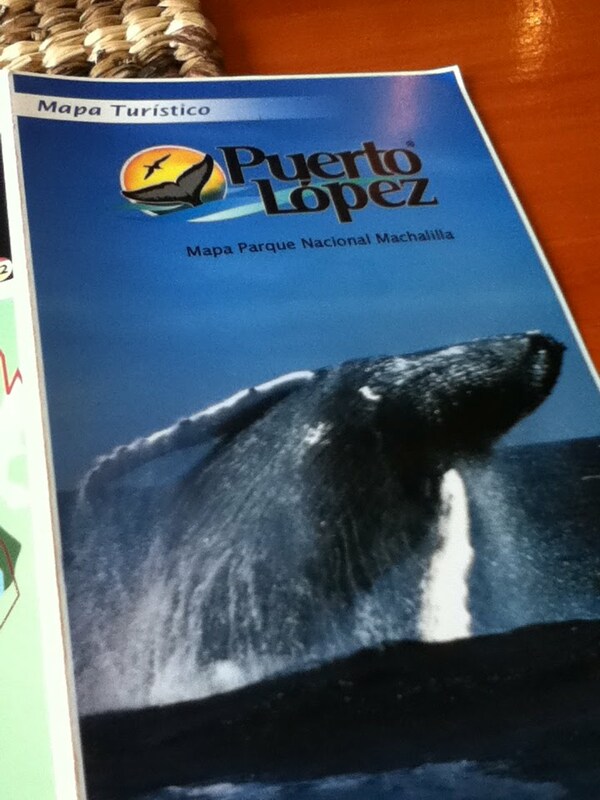 On our way to the island, and back we got to see several humpback whales. At least 10 of them! Can’t wait to share the pics! Beautiful…I learned something new! Thanks, Alex. Love trying to keep-up with you.